Blackhawk Bakery was founded in 1947 shortly after World War II by Jim and Geraldine Dickerson and was named in honor of the soldiers of the "Blackhawk Battalion" of WWII who fought and served alongside Jim Dickerson. The bakery was established in Paducah, Kentucky, and was a true family business, employing many of Jim and Geraldine’s family members. Originally, the bakery offered a wide variety of breads, pastries, doughnuts, cakes, cookies, and many other assorted sweets. The recipes created by Jim and Geraldine became very popular in the surrounding communities. Jim passed away in 1977 and Geraldine continued to work at the bakery until 1984 when she retired at age 77. Demand for one particular secret recipe which Jim and Geraldine created, the Blackhawk Bakery Famous Dinner Flake Roll, has made the Blackhawk name known throughout the south and southeast. 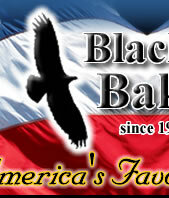 Blackhawk dinner rolls are now distributed in 14 different states and demand continues to grow the geographic distribution footprint. The bakery has remained a family business for over 54 years and is in its third generation of family ownership. Today, Blackhawk Bakery is committed to producing the highest quality dinner rolls that add the most value to our clients. Blackhawk works with the nation’s leading foodservice companies in distributing the rolls among groceries, restaurants, schools, hospitals, country clubs, churches and other food preparation facilities. 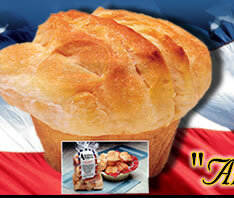 There is much history and family behind the baking of this unique dinner roll. The original dinner flake roll recipe is as delicious today as it was when Jim and Geraldine started the family bakery over a half century ago. 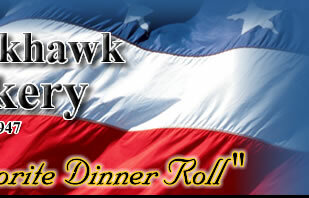 The family invites you to try Uncle Jim and Aunt Gerry’s recipe and discover the taste that has made the Blackhawk Bakery dinner roll "America’s Favorite Dinner Roll".